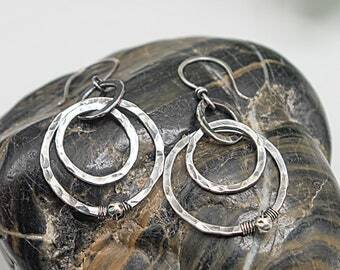 These boho beaded sterling silver hoops are so lightweight and dainty. 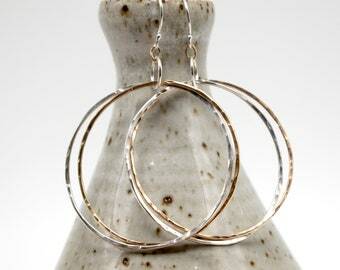 The hoop wire is anti-tarnish sterling silver 21 gauge measuring 1.5" wide (40mm). 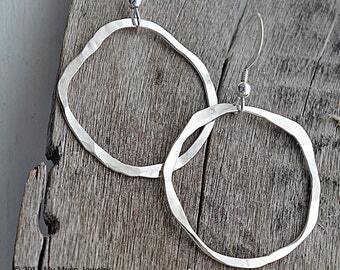 It is a comfortable thin hoop wire. 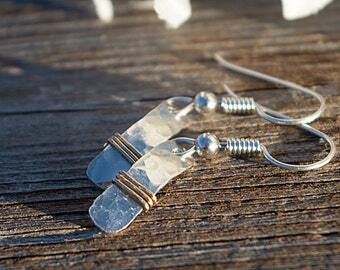 Each earring latches in the back by pulling the wire through a drilled hole. 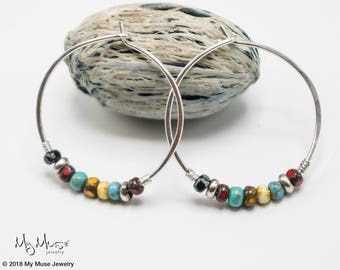 These beautiful turquoise style cylindrical-shaped beads are from the mountains of Afghanistan. 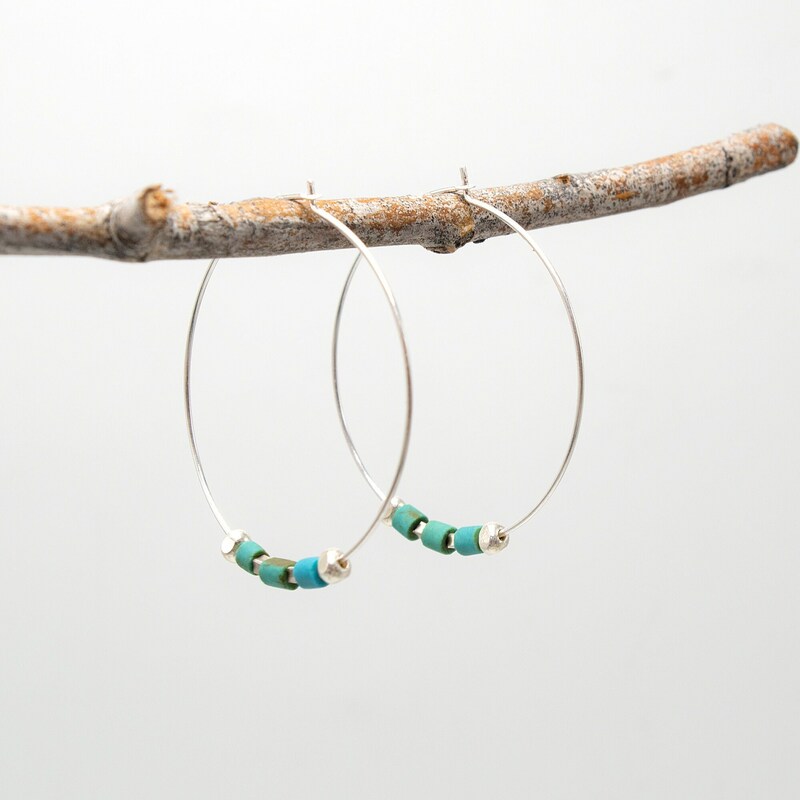 They are made from recycled, reconstituted stone meant to resemble traditional turquoise beads. There are variances in these beads, including browns, blues and greens. 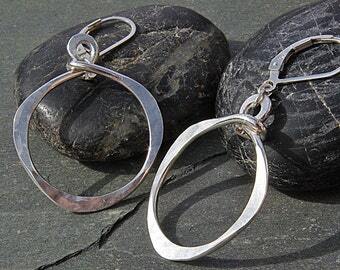 These beads measure approximately 3 x 2-3mm each. 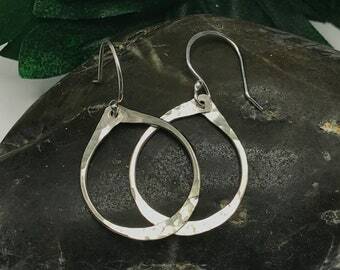 All the beads move freely on these hoops but won't slip off These earrings are an affordable, everyday earring perfect for any time of year.